Tonight! 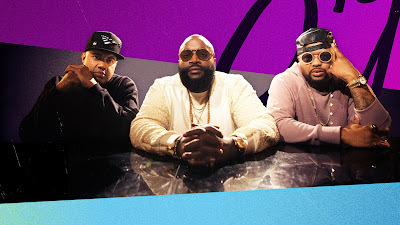 Premieres SIGNED Featuring Rick Ross, Lenny S. & The-Dream at 9PM on VH1 ~ Phresh Hott New! Tonight, premieres VH1’s new series Signed featuring Rick Ross, Lenny S. and The-Dream, “Shoot Your Shot” Music moguls, Rick Ross, The Dream, and Lenny S are bringing the hottest up-and-coming hip-hop and R&B artists to Atlanta. Those who stay hot will be signed to a major record label. Those who don’t, go home. The Aspiring Artists Prepare To Audition….. Look below as before going auditioning for Lenny S., The-Dream, and Rick Ross, the aspiring artists discuss what working with the moguls would mean to them.